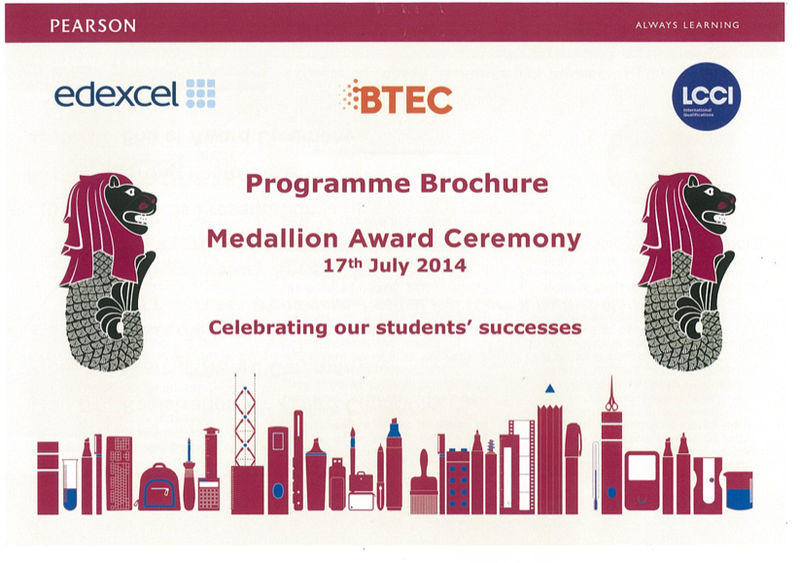 On Thursday, 17 Jul 2014, SSTC CEO Ms Rose Yeo, Principal Mr Emil Dereinda, Deputy Director of Studies Ms Hannie Chua and Director of Business Development Mr Heikal Yusope attended the Pearson Medallion Award Ceremony. In the UK, Pearson is the largest awarding organization offering academic and vocational qualifications that are globally recognized and benchmarked, with education excellence rooted in EDEXCEL, BTEC and LCCI. 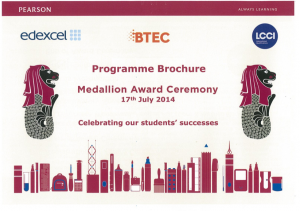 All of which are in partnership with SSTC School for further Education. The Pearson Medallion Award Ceremony 2014 was graced by His Excellency, Anthony Phillipson, British High Commissioner to Singapore, who presented the awards to the recipients. SSTC is proud that we have produced award winners and we wish all the winners the very best luck and a bright future ahead.